New Delhi, April 14: The five wise men of Indian cricket, led by M.S.K. Prasad, will meet in Mumbai on Monday to pick the squad for the 2019 World Cup in England. While most of the players pick themselves, thanks to their consistent show in recent times, there are three main areas of concern that the selectors need to take a call on when they sit down to pick the 15-member squad. Indian Team for ICC Cricket World Cup 2019: Virender Sehwag Picks KL Rahul, Rishabh Pant; Leaves Out Ambati Rayudu, Dinesh Karthik in His Squad for the Mega Event. Former India skipper Sunil Gavaskar has also spoken about how Rahul can fit into any position in the batting order considering he is an opener and that his IPL form is something that cannot be ignored. Interestingly, former India opener Gautam Gambhir has also proposed the name of Sanju Samson. But the Kerala and Rajasthan Royals batsman has just not been consistent enough. Sanju Samson Right Man For No. 4 Slot in Indian Squad For ICC Cricket World Cup 2019, Says Gautam Gambhir. The rest of the batsmen pick themselves with Shikhar Dhawan and Rohit Sharma starting at the top, followed by Virat Kohli, MS Dhoni and Kedar Jadhav. Hardik Pandya fits in as the all-rounder who will also be looked at as a finisher. 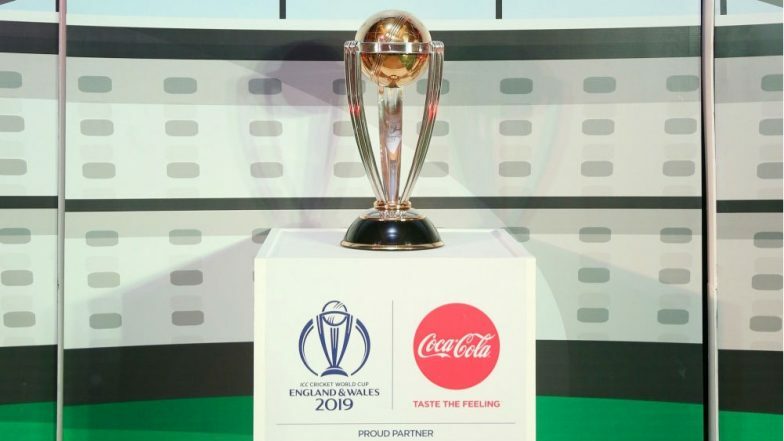 World Cup 2019: The Final Countdown Begins for a Marvellous Battle Between Top 10 Cricketing Nations. If the team still does look at the extra pacer, Navdeep Saini could be the dark horse. But for now it looks like Jadeja is leading the race. India’s Likely Squad for ICC Cricket World Cup 2019: KL Rahul Could Find a Place; Rishabh Pant, Dinesh Karthik Might Miss Out.